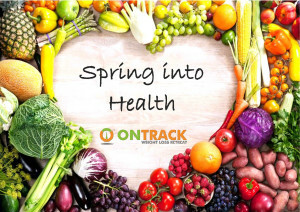 Spring is a great time to conduct a health audit and see which areas can be improved. Here are some easy-to-action tips to help you spring clean your health today. One of the best ways to fix the family diet is to get into the habit of meal planning. Which means shopping in advance for what you need and always have the ingredients on hand. Spring is a great time for light soups, veggie-rich stir-fries and nourishing salads. Give your body some shock treatment and overhaul your exercise routine. This does not mean you need to head straight out and run a marathon, but if you’ve had a sluggish winter you need to shock the body in spring in order to reap the benefits in summer. If it helps; buy something new to train in. P.S. If you’re hitting the great outdoors again for the first time in a while, stay on top of your hydration levels. A mental spring cleaning gives us the opportunity to clear our mind, get rid of habits that don’t serve us, plant seeds of positivity and start creating the life we want. Take a deep look at where you are and feel what you no longer need in your life, what no longer serves who you want to be. Choose in-season, local produce – some of the healthiest vegetables come into season in spring for example; lettuce, asparagus, bok choy, kale and spinach. Seasonal produce offers more flavour as well as price savings. Local produce supports farmers and also spares the environment by eliminating long-distance delivery systems. Whenever possible, add vegetables to meals like sandwiches or omelettes. Instead of processed snack foods, eat wholesome vegetables with a dip like hummus. Our comfy, worn-out running shoes may do more harm than good. The material, particularly in the heel, wears out with use, and loses its cushioning effect. As sunrise gets earlier, hauling yourself out of bed early and getting outside can help boost your level of vitamin D, most of which we get from sunlight on our skin. Vitamin D helps to keep bones and teeth healthy. Disorganisation makes it difficult to find items you need. “Where did I put that medicine?” “Where are my training shoes for the gym?” The more time you spend looking for these, the more frustrated you may get and the more likely you may be to just decide not to proceed with it (like decide to skip your medicine or decide not to go to the gym). Mowing the lawn, raking leaves and planting flowers/plants all count towards your recommended weekly physical exercise and gets you out of the house and into some fresh air. Before crafting your goals, look at where you are in terms of your health habits. With summer around the corner, it can be tempting to create super lofty goals and just focus on the big picture, which can be daunting and wind up draining motivation. Instead, build in challenging-yet-doable food goals from your starting point. Be sure to revisit and revise these goals as you move forward. If you have smaller goals that push you out of your comfort zone little by little, they’ll add up to major results by the time summer arrives. As you do your spring cleaning, take advantage of the moment and clean up your pantry and kitchen from top to bottom. Make sure you place highly nutritious foods in the front, less nutritious foods in the back and discard any unwanted temptations. Don’t underestimate the power of a food log – it can be tedious, but it really does help. Whether you’re writing it down, sharing it with a friend or using a food journal app, tracking what you eat can help keep you in check. It will also make you more aware of your choices and will usually cause you to think twice before making an unhealthy decision. Most people will be smarter about what they eat when they see it in writing. kay, sorry this is another cleaning-related one—but it’s definitely worth it. You can help halt spring allergies by washing all linens and blankets. Why? The greatest number of dust mites live in the bedroom. Want the ultimate Spring healthy kickstart? Get fit, healthy, lose weight and feel great at Australia’s No. 1 Weight Loss & Fitness Retreat at our Sydney Central Coast and Torquay, VIC locations. Proven program, and results are guaranteed… what do you have to lose?